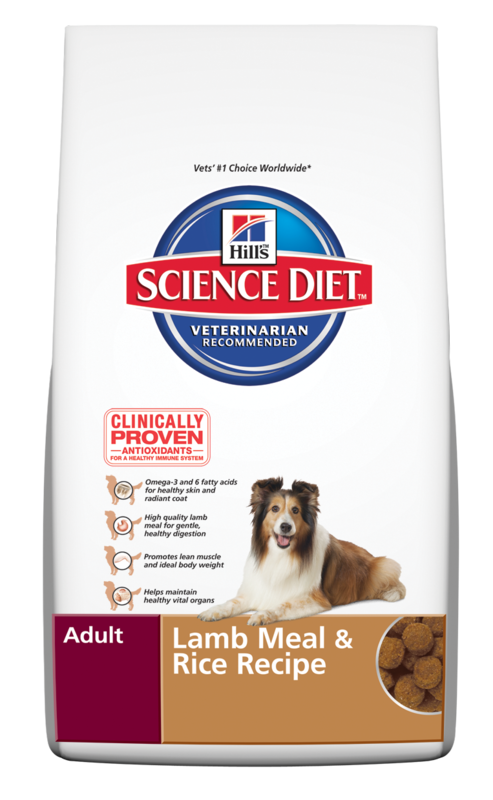 Science Diet Lamb Meal & Rice ADULT dog food is for dogs ages 1-6, provides optimal nutrition to help keep your dog looking and feeling great with great skin and shiny coat. The superior antioxidant formula of the HEALTHY DEFENSE SYSTEM provides your dog with the strength to maintain a healthy immune system and defend against the risk of disease. Real lamb meal and rice are easy on the digestive system and perfect for dogs allergic to chicken or beef..